Press LB and RB at the same time to activate in-game! 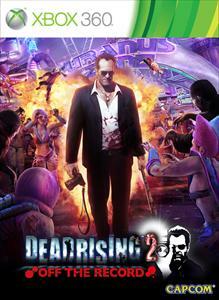 The GAMEBREAKER pack let's you take over the game and control almost every aspect of Dead Rising 2: Off The Record. Dumb down the AI, create indestructible combo weapons, distort character models and add cinematic filter effects to enhance your Fortune City experience! Features include: - Instant PP - Clock manipulation - God Mode - Infinite ammo - Infinite weapon durability - Super damage - Super speed - Big head mode - Body builder mode - Dumb zombies - Flat Frank - Giant hands - Cinema filters - And MORE! If you think you've seen everything Dead Rising 2: Off The Record has to offer, think again. The GAMEBREAKER pack takes zombie killing action to a whole new level.